Registration for the Service is not required to simply view the Site. If you elect to register for the Service, Brian Timoney Actors Studio Ltd asks you for information that enables us to provide the Service. You will be registering with Brian Timoney Actors Studio Ltd on the form provided and such registration may require you to provide contact information such as your name and email address. Protecting the security of your personal information is very important to us. When we store information that you have provided to us when registering for the Service, that information is protected by security measures that include “firewalls” (a combination of computer hardware and software that helps keep unauthorised visitors from accessing information within our computer network), “intrusion detection systems” (a combination of computer hardware and software that helps detect any unauthorised visitors) and other tools such as data encryption and physical security, where appropriate. Unfortunately, no data transmission over the Internet or data repository can be guaranteed to be 100% secure. As a result, while Brian Timoney Actors Studio Ltd strives to protect your personal information and privacy, we cannot guarantee or warrant the security of any information you disclose or transmit to us online and cannot be responsible for the theft, destruction, or inadvertent disclosure of your personal information. We collect information from aspiring actors and communicate to them under the legitimate interest clause of GDPR. 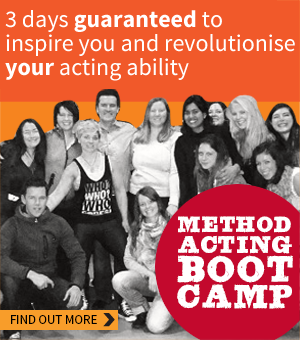 We provide a range of information and promotions related to the acting industry. You can unsubscribe from our list at any time.